A huge and violent storm broke over the East End last night, rending the sky apart. Was it a remnant of the hurricane that swept across the Atlantic or was it a meteorological manifestation of the conflict that erupted in Tower Hamlets Council Chamber at Mulberry Place? Councillors asked why there was only 35% affordable housing when the Mayor’s target was 50%. A local resident questioned the loss of twenty-seven mature trees, the excessive height and density of the development, and the consequent loss of light to nearby homes. On questioning, the developer revealed there would be no public path through the new housing development, rendering it a gated community. Criticisms were aired about Crest Nicholson’s public consultations in which the height of the buildings was never revealed and misleading images made them look smaller than they were. Concerns were raised about the relationship of the affordable homes with those at market value, and whether they would be segregated with separate entrances. A clear consensus arose that no aspect of the development was entirely satisfactory. Thanks to a Freedom of Information request by a local resident, letters between Crest Nicholson’s Chairman Stephen Stone and Tower Hamlets were made public which revealed some corporate muscle had been applied. Stone – who enjoyed a bonus of of £2.25 million last year – wrote that the offer of 35% affordable housing would be withdrawn if the application had to go to appeal. When the Head of Planning was asked if the scheme could be rejigged so that the Bethnal Green Mulberry could be saved, he answered in the affirmative. Then the change in planning law which came into force in July was raised. 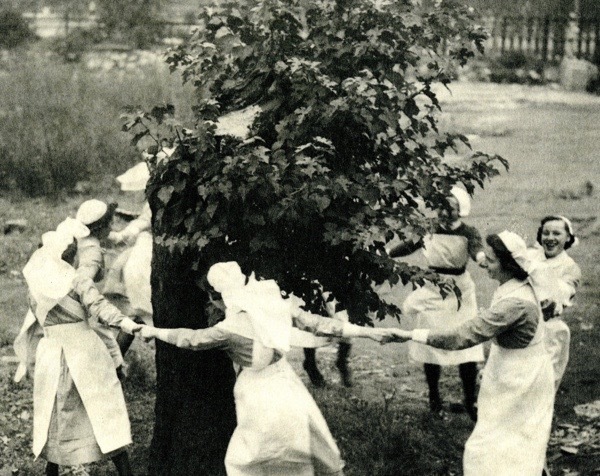 It gives extra protection to ancient and veteran trees which can now only be sacrificed for ‘wholly exceptional reasons.’ No-one could see how these were ‘wholly exceptional reasons,’ until the Head of Planning explained helpfully that it did not apply – since the proposal was actually to ‘save’ the Bethnal Green Mulberry by digging it up and moving it. When it came to the vote, a couple of councillors raised their hands to reject the proposal and a couple raised their hands to accept it. There was confusion and conferring in whispers. The Chair announced that three voted to reject it but four voted to accept and one abstained. In spite of three hundred letters of objection and ten thousand signatures on a petition, the application was approved. Crest Nicholson’s development can go ahead and the tree will be dug up. I was the first out of the council chamber, leaving behind a lot of angry and disappointed people. I ran through the corporate plaza, buffeted by the approaching storm. I sat on the train home in shock. Will the tree fall apart? Will it decay and die after moving? Will it flourish for centuries in its new position? Time alone will reveal the fate of the Bethnal Green Mulberry. What a disappointing decision. I guess only money talks. Poor tree! To survive the Fire,the Blitz and all the other stresses and now this. For no gain to the community. I am furious. I may live on the other side of the world and in the opposite hemisphere but that tree is of immense historical value. Is there an appeals process? The media? Prince Charles perhaps? Any chance this decision might be ‘called in’ by the Mayor, Sadiq Khan, on the grounds of improper behaviour by Crest Nicholson (as revealed by the Freedom of Information request)? Such sad news about the tree. I am so sorry. Such a lot of people tried so v hard. Well done though, for standing up to the obnoxious and unfeeling developers for so long! So Tower Hamlest, under the new, clean Labour regime appears to just as corrupt & incompetent as the previous mob. It’s just that the corrupt monies go to big developers, rather than the councillor’s personal friends. Practical difference to the population – zero. Though I agree with jess’ comment – it should be called in by the Mayor’s office. Callous and mean-spirited. I don’t believe it is not possible to change the plans enough to accommodate one tree but I do believe that corporate pride is so fragile it cannot brook challenge. I hope they are forced to keep to their affordable homes target. Horribly sad news, heartbreakingly told. i have just read this after waking to see a beautiful double rainbow from my window and feeling hopeful and how beautiful the world is, to actually crying when i read the fate of the mulberry tree. the way that the council can twist words and meanings about the mulberry tree being ‘saved’ because some idiot theoretically thinks it can be moved without damage, is unbelievable. how can councillors who are voted in to represent their communities vote for a gated estate that will remove the rights of people to even walk on the streets? so much corruption in local councils all over the country. Unbelievable! As others have said, money obviously talks and corruption survives! From the other side of the planet I feel your pain – I was devastated when the neighbours chopped down a 100 years old tree. The mulberry tree deserves to continue as long as possible having survived as long as it has. Is there no other way of appeal – does the Lord Mayor have any input and is he likely to be sympathetic. Can any of the newspapers be brought on side with a “Shame Crest Nicholson” banner? Such awful news GA.
How disappointing that Tower Hamlets Council have decided to ‘cave in under ‘corporate muscle’. Nothing changes then. Maybe Mayor Khan should have the opportunity to call this in and investigate the amount of ‘muscle’ applied and consider if this scheme is in the interest of local residents….given the token amount of affordable housing. We can all only hope that the Bethnal Green Mulberry will survive following a ‘bespoke’ removal, whatever that amounts to. Gentle Author, I share your shock and sadness at this dreadful decision but wish to thank you for all the efforts you have given to this cause. So the threat won in the end. If it goes to appeal … I won’t play! Shameful but no surprise let’s face it. So many people tried their utmost – what more can you do, it’s so difficult to beat these developments when they are set on doing something and of course money talks as always. So unbelievably sad news . How can they live with themselves . I’m so sorry. This is a really sad blow after all your hard work. It’s just gross. The Gentle Author will remain a hero for so eloquently shining a light on this awful behaviour, as ever. This is completely outrageous. Who are the councillors who apparently voted for destruction but weren’t even bold enough to raise their hands in the meeting? What sort of appeal processes are there? Can the plan be called in by the Mayor of London, as suggested above? Come on, Sadiq Khan. Show us what you’re made of and overturn this shameful decision. So sad to read this. It’s not just an old tree, it’s a thing of beauty, a tree that is a big part of Bethnal Green history and heritage. This is just heartbreaking news. I hope that the fight doesn’t end here and that it can be taken to a higher level. Why must everything be destroyed for money? It is very sad. I doubt very much that the tree will survive. In Spain, where I live, olive trees are moved, but never trees that are that old, and a lot of them do not srvive the process. I am very sorry, Gentle Author. This is so well written that I feel as though I was there at the meeting. After all the negative points about the development and reminder that the mulberry tree was a veteran tree with extra protection surely the vote would be no. I too was shocked when I read the answer was yes go ahead. The tree will die. The listed building will be demolished. There will be a gated housing estate. The area will be changed and not for the better. Our hopes rest with the Mayor. It’s not just about the tree , it’s all the other disgusting elements that sicken me. The height, the exclusivity,the greed, make money at all costs. Depressing in the extreme. I hope the tree survives as a symbol of hope. There happens also to be some Mulbury trees ,with full fruits in July, on the cathedral walls in Exeter , Devon.I noticed them by chance. The fruit is ideal for a whole manner of different jams.Sad to here this news though well done on gaining this kind of public support for what might seem a matter on first appearance as trivial however it clearly isnt. Unbelievable!! or depressingly enough all too believable in this day and age of corporate greed and corrupt and uncaring councillors…GRRRRRRR!!! I think that the Mayor isn’t high enough to try to overturn the decision – it is time for Prince Charles or even one of the younger princes to get involved. And what a horrible end to what should have been a very special day for you GA. I have just sent an email to Sadiq Khan. I have listed the major points and given him the address of this excellent article. I have done all I can to save this tree as I signed the petition. I can’t believe how much destruction is happening in London. I used to live in Bethnal Green as a child and now I don’t recognise it. Another thought – how about getting national treasure Dame Judi Dench on side? I have recently re- watched her lovely documentary about her love of trees and all the incredible new things she found out about them, and she could bring all her passion and popularity to help the cause. This can’t be the end of the story…. This is so depressing, no doubt once the beautiful historic tree has been removed and the estate built, Stephen Stone will be able to pay himself another 2.25 million bonus, while families who need affordable housing are left out in the cold. I just stinks. Crest Nicholson are a ruthless outfit looking to maul parts of Hove as well. I could not be more deptessed by how ignorantly compliant most so-called councillors on planning cttees can be. They are not experts or even adequately familiar with policies in a lot of cases. They go with ofgicer recommendations because they know do little and cannot conjure arguments that would win if Crest go to Appeal – and it is a requirement if going against officer recommendation. Losing Appeals is feared and expensive & councils are scared to risk it – especially up against Crest-level resources. Fighting for a principle just costs too much in their tiny minds. I assume Crest donate generously to political party coffers which counts for some decisions over time. I wonder if Judicial Review of this consent is possible. An Opinion is needed first to even go for it and the process is expensive. Can pro bono and volunteers come to the rescue here? The scheme sounds vulnerable to me. Do take a look at the Crest Nicholson website. They display their own history, since 1963! History appears to be a matter of pride and significance for them. So why so determined to dig up a veteran tree, a living symbol of pride and significance within the history of the East End? All other veteran trees across England indeed across the whole of the British Isles must be shaken to their roots at the callous nature of developing man. Cowardice, corruption and corporate power. Tower Hamlets council have long been corrupt and not fit for purpose. The Councillors who voted in favour of this disgraceful act of vandalism should be named and shamed. The names must be available in the records. Sadiq Khan will do nothing to halt this development, he is worse than Boris when it comes to planning. How can Crest Nicholson withdraw their “offer” of affordable homes when it should have been a condition of planning permission being granted? It seems that developers can ride roughshod over any planning conditions and the supposed authority of the mayor is about as much use as a chocolate teapot. London is truly the city of mammon. This news made me furious. It is not just the uprooting of the tree, but the attitude of the developers. To think they could threaten not to provide 35% of affordable housing (when it should be 50%) if this goes to appeal! And the cowardice of some of the councillors. No wonder people become disillusioned with politicians when they make decisions that go against the will of their electorate. This really needs to go to the Mayor. The old cliches apply again – Money talks. And… You can’t fight City Hall. London is changing for the worse. Can this latest disaster be appealed? So sad. When will it happen? I must come and see it. is this in the name of progress? I think not. A very disappointing result. According to Tacitus, the penalty under old German laws for those who dared peel the bark of a standing tree was to have their navel cut out and nailed to the part of the tree which he had peeled and then to be driven round and round the tree until all his guts were wound about its trunk. I think something rather worse should be inflicted on the Tower Hamlets and Crest Nicholson people, don’t you? 21st century development will surely be noted in history as avaricious, thoughtless and whose legacy has left trails of destruction where construction was proposed. Dystopian Brutalism would be a fair description of the style. Ugly to look at, buries its historical references and operates for profit. London suffers terribly from the affliction. Shame on Crest-Nicholson; Shame on the Council. This tragic and needless incident seems a reflection of a larger malaise infecting our society — the destruction of social communities for profit; the shortsightedness of corporations who sacrifice the greater good for their own immediate benefit; the collusion of politics with money. We should all take this horrendous event as incentive to get bolder, angrier, and more forcefully persuasive in our denouncing of such selfish greed. In that, you dear Gentle Author are a shining example. I truly hope the papers pick up on this and intend to email anyone I can think of (and the Mayor) this weekend. This sad situation deems to me symbolic of all that is going wrong in London, the wanton disregard for anyone and anything that doesn’t feed Mammon. Thanks for all your reporting on this GA, I’m so sorry it has reached such a pass. The only good news is the sheer number of people who have shown concern. Is it too late to get some ‘big guns’ to its defence. Is nothing sacred anymore? Financial gain is all that matters, these folk have no heart. What a cop-out to abstain from the vote… It is a crying shame! Well done all at Crest Nicholson, you must be feeling very proud of yourselves today! 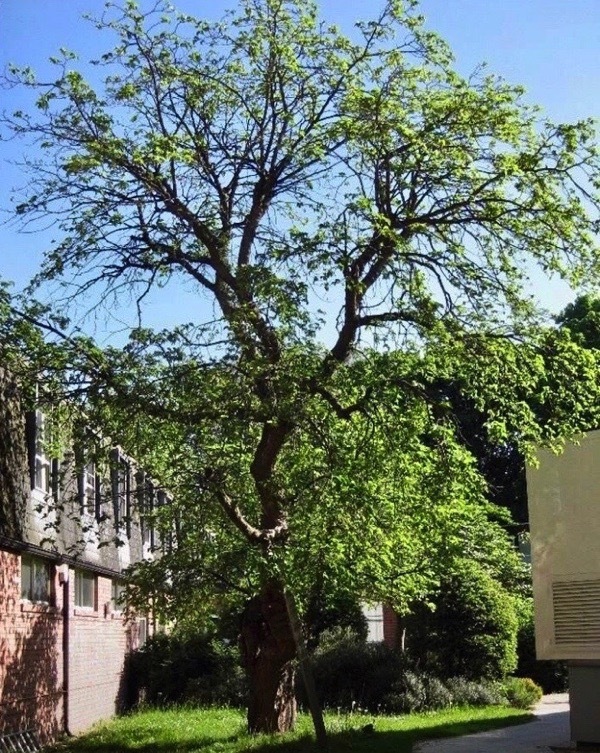 After all, you and your stooges , Tree:Fabrik and Edward Buckton at Tower Hamlets Council, last night managed to achieve what 400 years and a world war did not – the certain death of a supposedly protected tree. Also we must also not forget the 27 other mature trees that will be destroyed in this vanity project. So let us name and shame Crest Nicholson Executive Chairman (and former CEO) Stephen Stone and current CEO Patrick Burgin, and perhaps someone who was at the Tower Hamlets Council meeting last night could name the councillors present and how they voted. According to the Tower Hamlets website, all the councillors who were expected last night, apart from one Lib Dem, were Labour. – supposedly the party of the people! Amazing how politicians change once they get their noses in the trough! I wholeheartedly agree with Malcolm’s above comments. To dear Gentle Author and Tom Ridge who brought this to wider attention and fought so valiantly, your efforts will not be forgotten and you have ensured that the memory of the tree will endure. Where is the location of the aged tree going to be? Hopefully in a public park or sanctuary for all to observe. Whoa hold on a minute. Bethnal GREEN council ? They have got to be joking ! Crest Nicholson are uglifying London along with many others with boring boxy buildings. No one builds anything worth looking at anymore. It is completely disgraceful that Crest Nicholson can be allowed to build yet more crap. I regret the loss of the tree too, and it is all as one with the ck of affordable housing and over-sizing of the buildings. Is anyone surprised? Corporate greed always rides roughshod over local concerns and objections. The soul of London is rapidly being destroyed. Absolute shame on the developers! Bloody disgusting. As usual, money talks and corporations get their selfish way. I’ll bet these people are the sort who have the money to oppose anything that would upset their choices. Why don’t we just erase every trace of history and start again? A taxi driver recently offered me his opinion on some street protests. He said, “What they (the protesters) ought to do is register to vote.” I think it’s time that some of the 300 filed their candidacy papers. You need some fresh blood on the Tower Hamlets Council. I wish I could say I was surprised. As usual the developers win with a mixture of coercion and blackmail (the threat to remove all affordable housing from the development). But no doubt the bonuses of the CEO & co will be secure. How very disheartening and sad. Money, money, money, that’s all that matters. Shame on those councillors that voted in favour. Crest Nicholson has shown it’s true colours, not too surprising really considering how they stole the photo of the Mulberry Tree in the first place and the way they responded when found out. Still I’m shocked, dismayed and outraged at the outcome. How can the council be blackmailed? What kind of person abstains from a vote? It wouldn’t happen on a jury. I fervently hope this is not the end of the matter. Gentle Author you have my sympathies. The decision to give in to demands and threats by Crest Nicholson is appalling and a disgrace but, bearing in mind the present day climate of collusion and corruption, not unexpected. However the killing of the mulberry tree in such a calculated and deliberate way is sickening. I discussed this possibility with an arboriculturalist recently when I mentioned to him that I had signed the petition, he assured me, in no uncertain terms, that a mulberry of this age will never survive being moved and that this is because they have a very individual way of growing which is unlike other trees. I think he was in Colchester to attend a gathering of experts to celebrate the life of the late Beth Chatto, and he obviously was the expert in his field so much of what he said was way over my head. I hope that the Mayor of London will be encouraged to call this in as something is obviously very wrong with this decision ~~~ it stinks ! This is disgraceful. “It’s ok, it can be moved safely”, followed by “unfortunately it died”. This is a totally short sighted decision with no respect for history or heritage. It is ridiculous to risk moving a tree of such age and significance. These terrible decisions are happening all over the country on the pretext of housing shortage, when there are shops and big buildings empty in every city which could be converted into affordable housing. That is horrendous and absolutely unacceptable. There’s graft involved. There’s a payoff, a bribe, going on behind the scenes. This development company has been opaque and deceitful from the start. I doubt they will fulfill any of their “promises” nor do they have the means or intents to follow through. What can be done now? Are there any legal recourse? The protection for this tree has clearly been violated by this vote. Who are these people on this committee that makes these decisions? If they are appointed, that is where the corruption lies. Are they elected? If elected, what you really need to do is organize a campaign, find candidates and replace every one of them. They are in the pockets of the developers. You need representatives that are public servants, not private puppets. Replace them and make sure they know it’s because they are puppets to the developers and not representatives of the community. Terrible. Typical of the troubled times we live in. Has any sort of ‘Action Group’ been set up? We at STAG (Sheffield Tree Action Group) – with well over 10,000 members – would love to help. A tragedy. Crest Nicholson give witness to their own character. Avarice has won the day…. We CANNOT accept this decision, we have to fight back. I’ve left messages on Sadiq Khan’s Facebook page and also on Jeremy Corbyns. We have to take this to a judicial review, it’s the last damn Mulberty tree in this part of London. I am apoplectic with rage that corruption, greed and nonsense theory has been been allowed to win over common sense. Who are the weak minded councillors who voted in favour of this? We have the right to know their names. Shame on them, shame on a Labour council getting into bed with corrupt propert developers and no doubt, lining their own pockets. What’s the next step TGA? Let’s fight back. I am so sickened by this. Disapointed again by a planning application that is so disrespectful. It must have been hard to write this but thank you so much for doing so……I had such hope for this tree. I’m reminded that there was a mulberry tree in the garden of my school in Highgate from which we fed our silkworms. It was lovely to be able to wind the silk off the coccoons but I can’t remember what we did with the thread as this was a very long time ago! Was this at a Planning committee meeting? Surely not full council meeting because there are 44 cllrs? Do you know the names of the cllrs and how they voted? What a terrible decision. Unfortunately greed has triumphed again. We can only hope the tree will survive in it’s new location, but moving such a venerable tree is totally immoral. So so sad that money talks.How could Tower Hamlets agree to this corrupt Crest Nicholson development.The mulberry tree will undoubtedly die.Sickened by how uncaring our authorities have become.Thank you Gentle Author for all your efforts. Enough is enough. We must stop the short term ism of our politicians and the greed of developers. But how? Yet another Labour Council proving that they are as venal and corrupt as the Tories! “For the Many Not the Few” yet another empty slogan from the Corbynastys! Democracy seems to be failing us these days when big money is given license to run roughshod through regulations and protections. – It just sets another precedence for them to do the same again and again. The more it’s allowed to happen, the easier it gets next time! The true tragedy here is that a more considerate design, one that did not include the near complete destruction of a listed complex, many fine trees, and does not provide sufficient affordable housing, would still have made them pots of money. They simply wanted more. They are destroying the very cultural and natural attractions that make their property development desirable in the first place. I agree with the authors above: publicly shame the elected fools who fell into line with the developers. A continuing nasty fight has stalled poorly thought out development plans for the Jolly Boatman site near Hampton Court Palace.